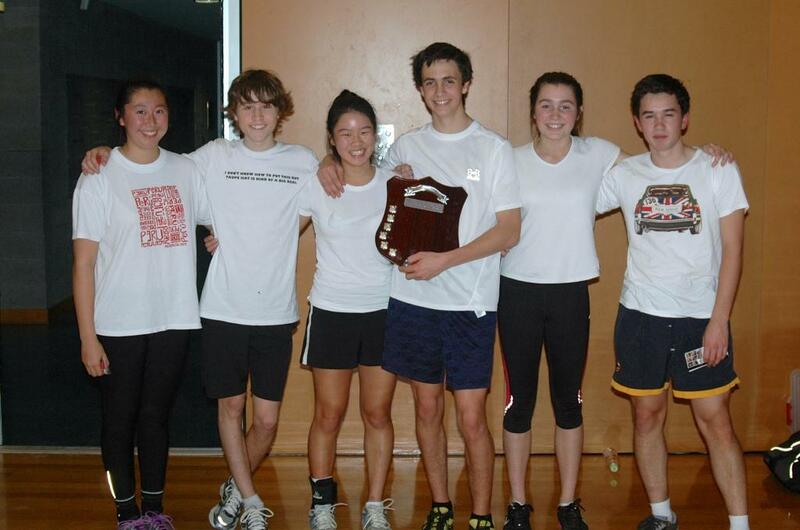 The 2013 Auckland Secondary School (AKSS) Indoor League Mixed Division was the biggest ever, a recurring theme in the Auckland school ultimate scene, as the surge in school and player numbers continues. Nineteen teams were officially entered, with one additional pick-up team formed to round off the league at 20 teams. This year saw the introduction of a new player split for the mixed division, with teams having to field two males and two females on the court at all times, rather than the previous three boys / one girl split. The new split was well received and transformed the league in to a genuine mixed and even playing field for males and females. Massey High School made their first appearance in an AKSS league with two teams placing a very respectable 10th and 18th place. The top four spots were tightly contested with seasoned veterans from Auckland Grammar School combined with Epsom Girls Grammar, Westlake Boys High combined with Northcote College and Takapuna Grammar filling up the semi-final positions, just edging out Pakuranga College and Avondale College. The quarter-finals provided an action packed night with three of the play-off games going to ‘golden-point’ to decide the winner. Avondale College was on the losing end of one such battle in their quarter final against Sarasota Scrubs from AGS/EGGS. Having lead throughout the game Avondale were understandably gutted to fall at the final hurdle and let the game slip form their grasp. Avondale coach Mr Iain Stewart was proud of his team’s performance despite the loss and noted that the team they lost to went on to win the final. “The standard of competition is much higher than last year, and more even. Most of the games between top teams finished within one or two points – there wasn’t a lot separating the top six,” commented Stewart. In another of the night’s epic battles, Takapuna Grammar 2 clinched victory against Green Bay Packers – as the hooter blew Jason Lee pulled out the hammer on stall count 6, throwing from endzone to endzone, to Tamara Bullock for the score and the win. Jason Lee says “I was then knighted the Hammer King”. The home-gym advantage clearly paid off for Auckland Grammar School (playing with sister school, Epsom Girls Grammar), as they ended up with two teams in the final. Sarasota Scrubs and Clearly Ambiguous put on a great display of finals-quality ultimate to chants of “go Grammar”, with Sarasota Scrubs winning the title 6 -5. At the time of writing this article AGS coach, Mr Warren Buckingham was swanning off in Europe on the school’s Western Heritage tour and could not be contacted for comment. However, no doubt Mr Buckingham found his teams’ performances ‘adequate’. In the 3rd/4th play-off Doswanlakor played Takapuna Grammar 2. Doswanlakor, (whose cleverly constructed team name is a play on words – “Swan Lake” in “door”), were a combination of lads from Westlake Boys High School and girls from Northcote College. Their team roster boasted a significant number of NZ U19 reps, and they outclassed their Takapuna opponents on the night 10 – 4 to take home bronze. Takapuna Grammar did not go home empty-handed, as they won the prestigious team Spirit Award for the league. In a new tradition for school leagues this year, an MVP from each team was awarded, (see full list of MVP winners below), with the overall league MVPs going to Rachel Hocking from Baradene College and Masaki Yamada of Avondale College. Each went home sporting a fetching pair of Five Ultimate shorts.